Electropop ensemble Say Hi, the longtime brainchild of Seattle songwriter Eric Elbogen, play Boston's Great Scott club Saturday night. 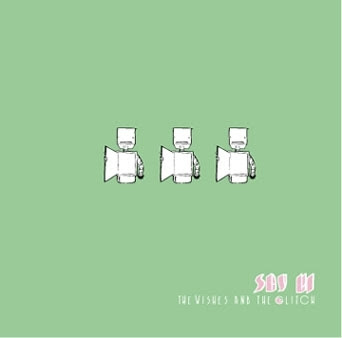 And to get you in the mood, we are giving away a copy of the band's recently issued fifth record The Wishes And The Glitch. Details on how to win the set are below. But first, a mea culpa: we are, as the kids say, gutted to report that our current cold/flu situation kept us home last night, which afforded us the worst possible view of Ringo Deathstarr's show at Abbey Lounge. We are sure the capital "f" Fates will punish us with reports of a legendary performance, but alas we had no choice. Our illness will also keep us from tomorrow night's Evangelicals show -- another travesty, as we were greatly impressed and rocked by Josh Jones and company when they played at TT's in 2006. We have to believe that we'll be on the mend by Saturday's Say Hi show, which we are looking forward to even more having read Can You See The Sunset From The Southside's review of the recent Say Hi performance at The Beat Room in Chicago. But enough of our yakking. We have one spare copy of The Wishes And The Glitch to give away, and we will mail it posthaste to the first person to send us an email [link at right] with the phrase "Let's Talk About Spaceships" in the subject line. We'll update this item as soon as the disc is claimed. Good luck. If you don't win, you can always stream the record at Say Hi's Virb page here. [UPDATE: Congratulations to reader Keith, who will be listening to The Wishes And The Glitch in short order].